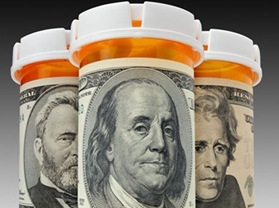 You are here: Home / Family Living / Savings On Prescriptions! I was on a prescription a while back and the Dr. gave me a coupon to get the first one filled for FREE, imagine my surprise when my husband went back to refill it for me and was told it would be $260 and it was too new to have a generic and wouldn’t have a generic for 2 years! The Dr. changed the prescription, but as I was reading up on it the first one I was on was superior with less side effects. So, I decided to find out what I could do about it. I wanted to be back on the other medicine but couldn’t wasn’t going to pay that much for it! In my research I found that most pharmaceutical companies have a program where you can get it directly from them at a discount or even FREE! My particular prescription was made by Merck and I found that they have a Patient Assistance Program! I was able to apply and in no time got my prescriptions mailed to me for FREE! You can qualify for some of these programs if you are a US citizen, are uninsured, and your income doesn’t exceed $43,320 or less for individuals, $58,280 or less for couples, or $88,200 or less for a family of 4. I was thrilled to find this information! Times are hard and many people don’t have insurance and can’t afford their prescriptions, so make sure to do your research! My husband has insurance that requires him to pay $6 per prescription and he takes 6 different pills a month, so $36 each month, I sat down doing my budget and called his insurance company to see if it was cheaper to get 3 mon supplies. It was not only cheaper, but for a one month supply of each medication cost $6 but a 3 month supply also only cost $6 a month, saving me $72 every 3 months. Something to look into. @Maria: Thanks! That’s a great tip!